John Kerry talks to Stephen Colbert about the anonymous NYT opinion piece. John Kerry said on Wednesday that reading the anonymously written New York Times op-ed by someone in the current administration scared him and confirmed that America doesn't really have a president." Kerry, a former secretary of state and Democratic presidential candidate, weighed in on "The Late Show" after The Times published a piece attributed to a senior administration official who warned of an internal plan to thwart President Donald Trumps agenda. "It scared the hell out of me," Kerry said to Stephen Colbert. "You know what it really means, Stephen, is that we don't really have a president. We have a president who is there, but he's not capable of doing the job or living up to the responsibilities." 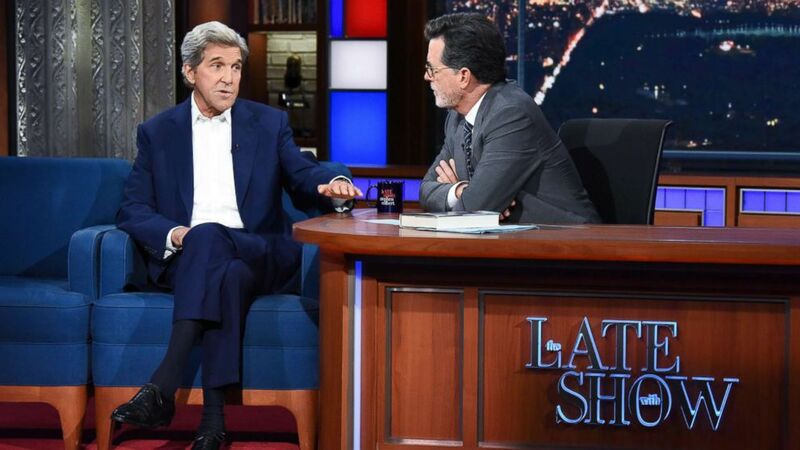 (Scott Kowalchyk/CBS) John Kerry sat down for an interview with “The Late Show” host Stephen Colbert on Wednesday. Trump called the op-ed "gutless" and demanded that "the failing New York Times" release the source's name. The op-ed author claimed to be a person who supported some of the president's policies but was concerned with his temperament. 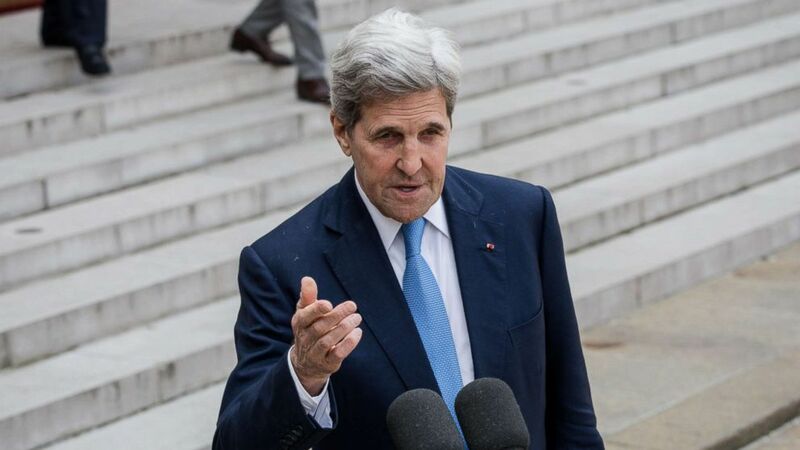 Kerry also touched on alarming claims from journalist and author Bob Woodward, who recently released an excerpt of his forthcoming book about alleged turmoil within the current administration. The book, "Fear: Trump in the White House," is based on first-hand reporting and anonymous White House sources. (Aurelien Morissard/IP3/Getty Images) John Kerry, gives an interview after the "Tech for Good" Summit at Elysee Palace, May 23, 2018, in Paris. "You have somebody stealing something off the president's desk in order to prevent him from making a decision," said Kerry, who served under President Barack Obama. "You're not supposed to have a resistance in the White House to prevent your president from breaking the law or doing something irrational and dangerous." 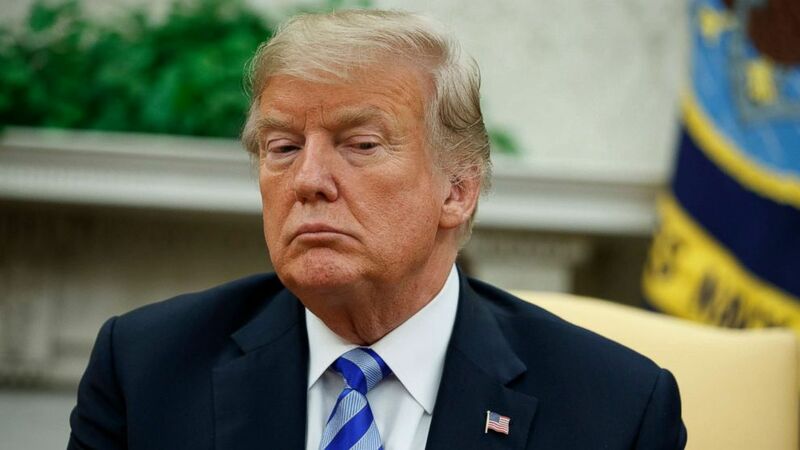 He said the apparent crisis in the White House is "really scary" and called on members of Congress to stop defending the president for selfish reasons. "What should really trouble everybody -- and it troubles me that it doesn't trouble certain people -- is that members of the United States Senate and the House, who take an oath of office to defend the Constitution and defend the United States of America, are actually defending their own power, defending their own positions, and they're not defending the Constitution or the institution of the Senate," Kerry said. "They're defending party and president. And that's wrong." (Evan Vucci/AP) President Donald Trump listens to Emir of Kuwait Sheikh Sabah Al Ahmad Al Sabah in the Oval Office of the White House, Sept. 5, 2018, in Washington. It's not the first time that Kerry and Trump have clashed. Earlier this week, the president responded to rumors Kerry could be gearing up to run against him in 2020. "I see that John Kerry, the father of the now terminated Iran deal, is thinking of running for President. I should only be so lucky - although the field that is currently assembling looks really good - FOR ME,” Trump tweeted Monday. Kerry responded to the president's comments in an interview with ABC's "The View" on Wednesday: "I doubt I'd be running for office again." Supporters of Kerry did point out he didn't explicitly say "no" to a potential White House run.